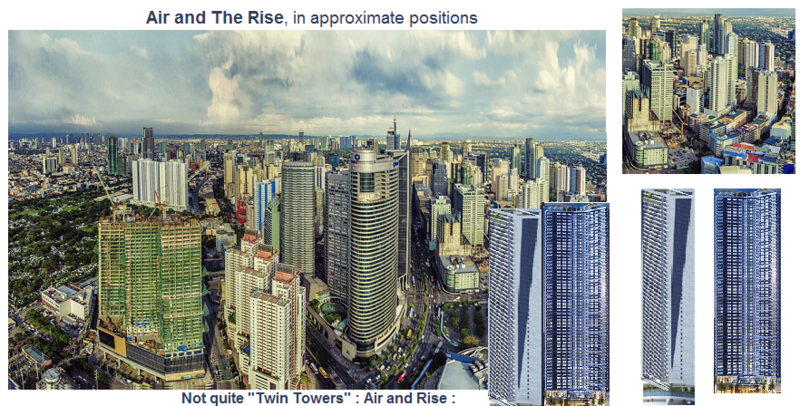 As of Aug. 2018, both Air & Rise have topped out. + New Showroom. Read CHAT, share posts & photos below. (For more price info, scroll down to Marketplace in post#2, just below). 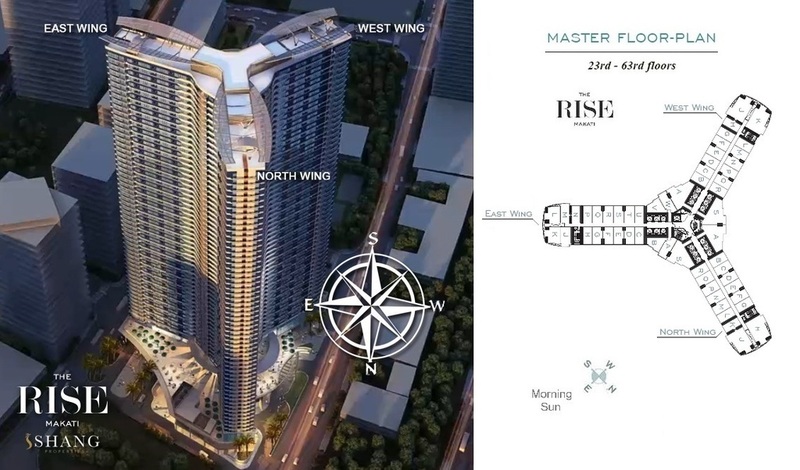 An iconic 210 meter high Tower, with a distinctive three wing design at a prime location in North Makati. 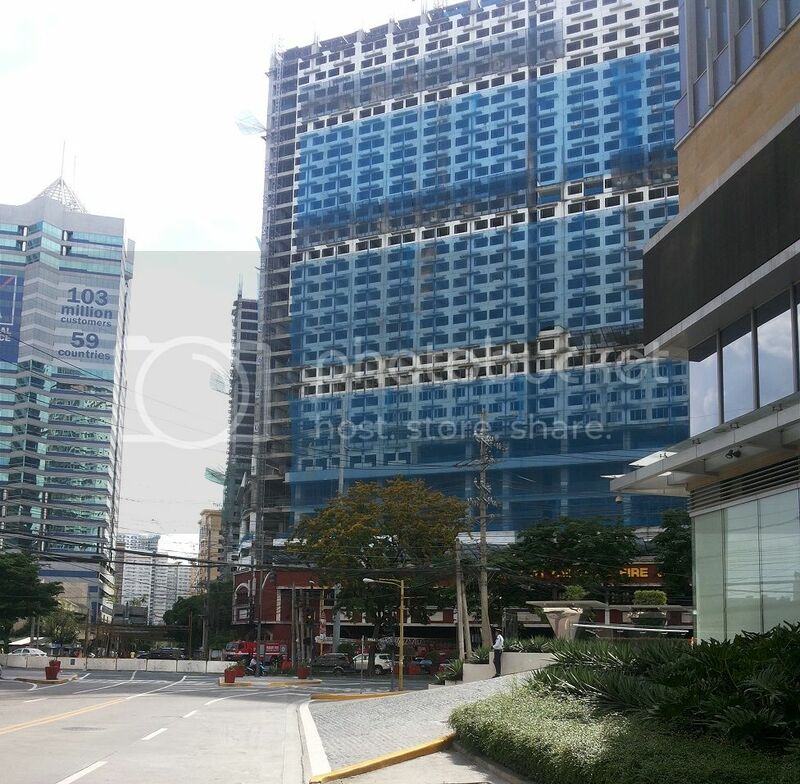 It will be completed around the same time as the Citygate development at the North end of Ayala Avenue. 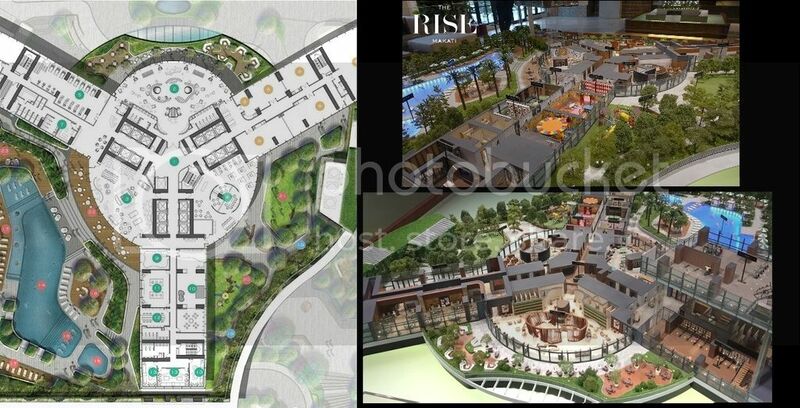 The Rise is a development of Shang Properties, and JV with Singapore's famous Kuok Group, ie Shangrila Hotels. It will have about 2,800 units and 59 floors, and is expected to be completed in late 2019 or early 2020. The address is 7248 Malugay, Makati, 1203 Kalakhang Maynila. 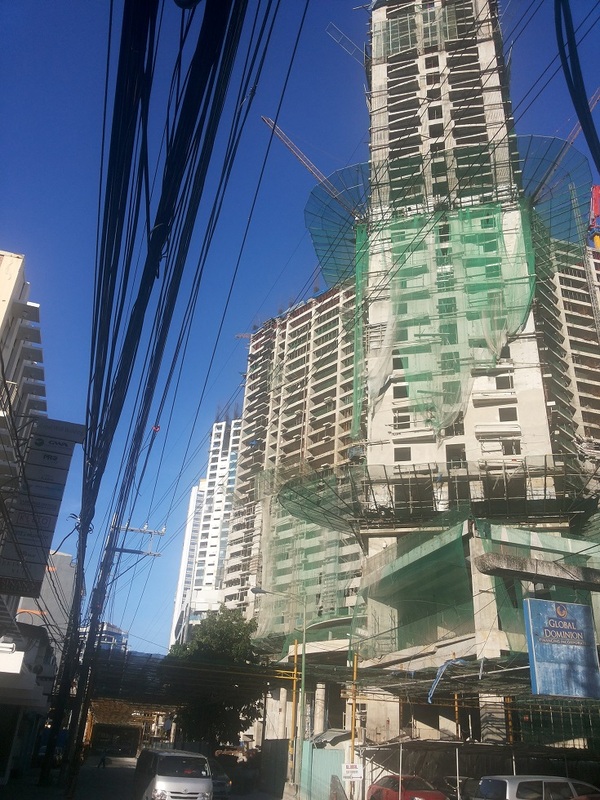 It is near the Northern end of Ayala Avenue, and is in the immediate vicinity of the Makati Post office and the Fire station; and next to Air Residences, which is also under construction. Some plans have been put forward to have an underground in this vicinity, but no final plans for the underground rail have yet been approved. So at best, it will be years away. 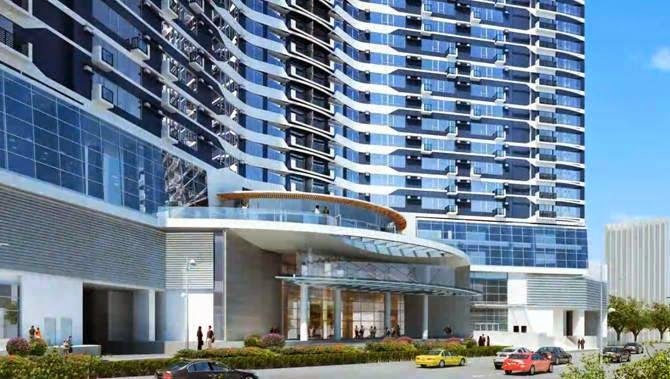 Nevertheless, there is great access for future Rise & Air tenants to many high paying jobs on Ayala Avenue and in the CBD. 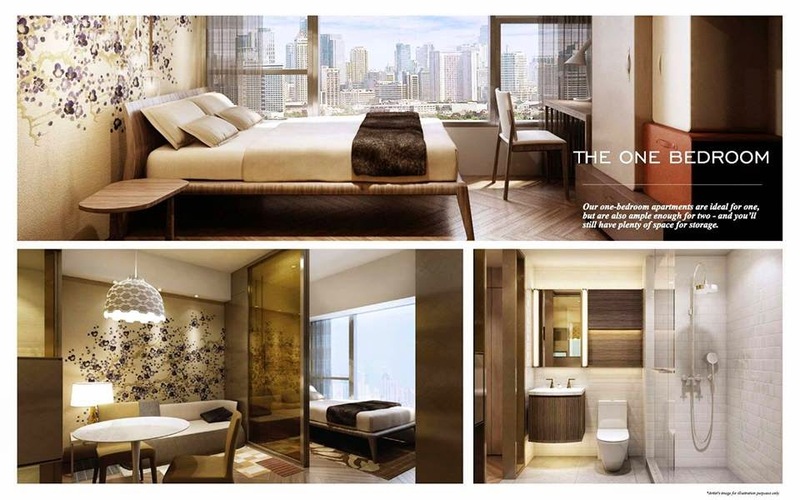 History: After an Oct.11, 2014 price rise, prices for 1BR units were P 3.6-3.8 million from Shang. 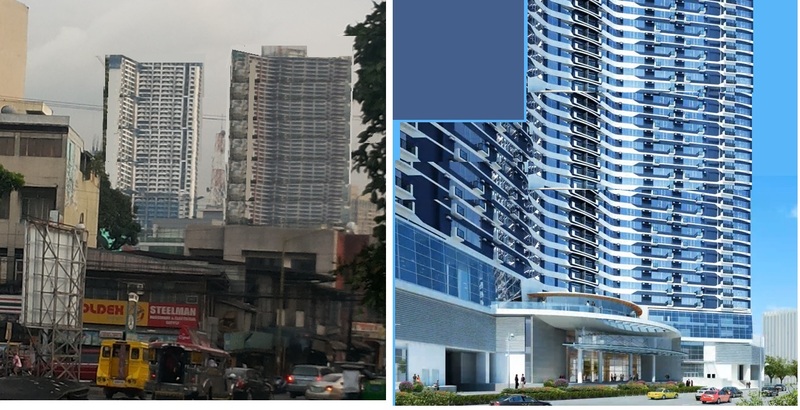 * 1BR units were available in West Wing only, at P4,730 (16/fl) - 5,065k sqm (46/fl) as of early May'16. Soon reported to be "sold out"; and Shang was reported to have up to 20 floors not yet released. 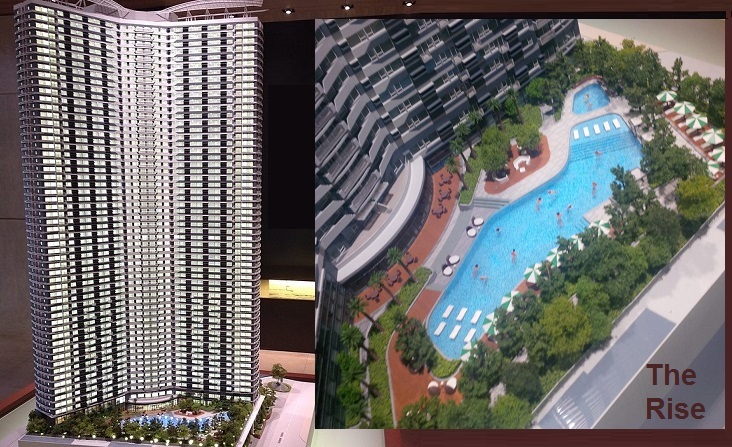 Their main sales efforts shifted to 2Br units. 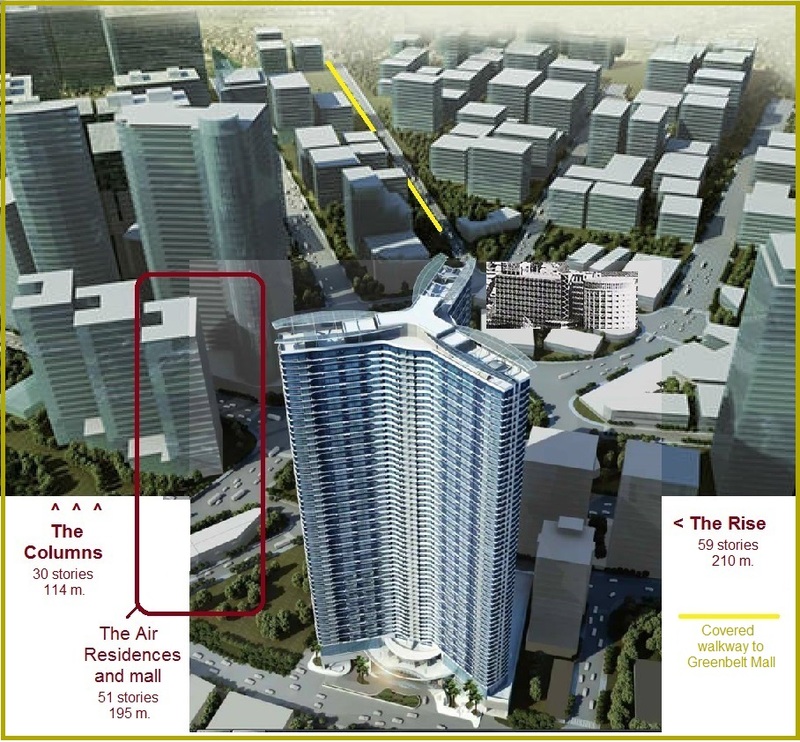 Architect for both The Rise & Air Residences is ASYA. "A private oasis of world-class amenities to help you make the most of your busy schedule"
Aug 2016 – 2nd Fl. : Sep 2016 – 3rd Fl. 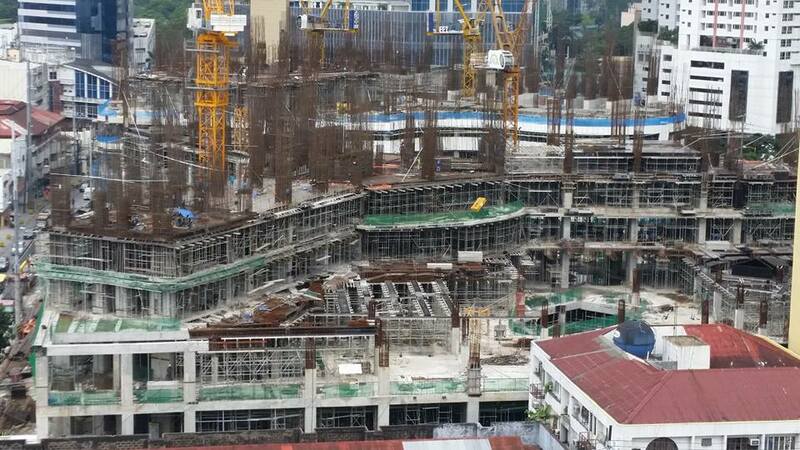 Jun 2017 - 36th Floor ... to 63 fl., add 27 floors / 3 = 9.0 months : Top-up? Q1/Q2- 2018. 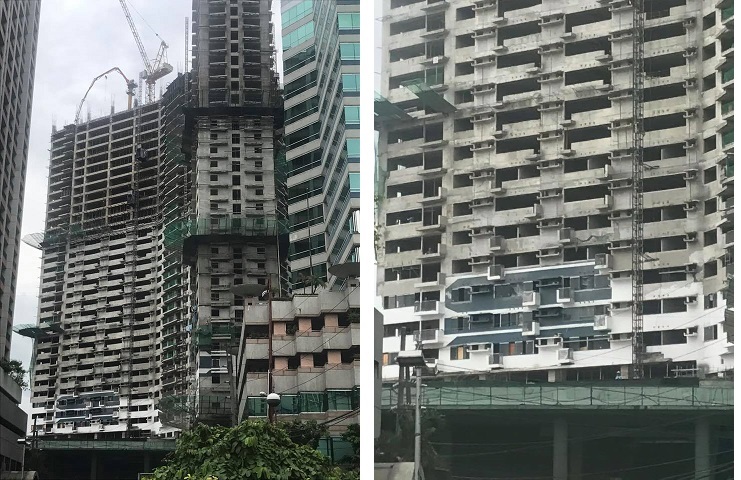 "If this continues, then the 63rd floor will be reached by August 2018...and another year of fittings, Aug 2019...sana naman mai-deliver by 2019, rather than 2020, because it was promised to me by 2018 when i bought it..."
Bizarrely, the vendors of properties in both locations, seem to pretend that the other tower does not exist. But they are direct competitors, and as of May 2017 both towers are constructed to a similar height, of just over 30 stories, or slightly more than 50% of the eventual height. 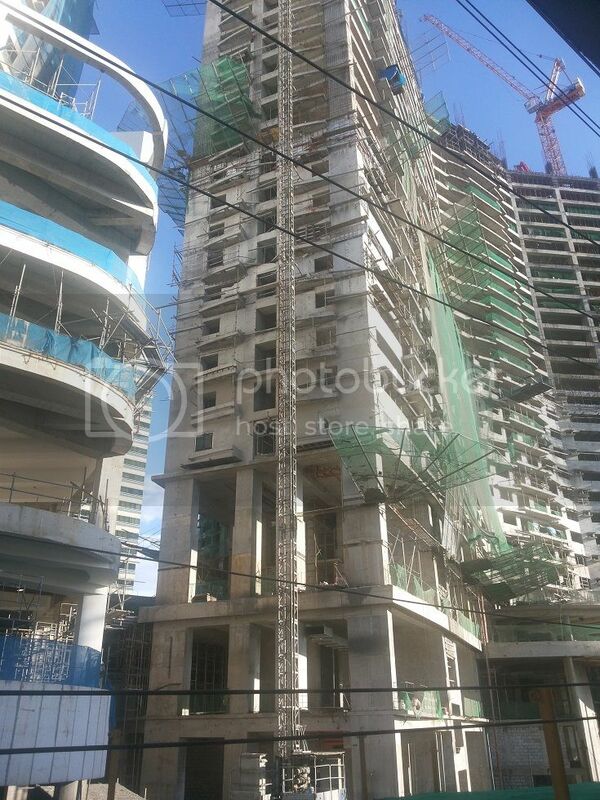 Building- : Developer---- : Year : Height: Tw: Floors, Units : /fl. : elv : stu. : 1BR : 2BR : unk. 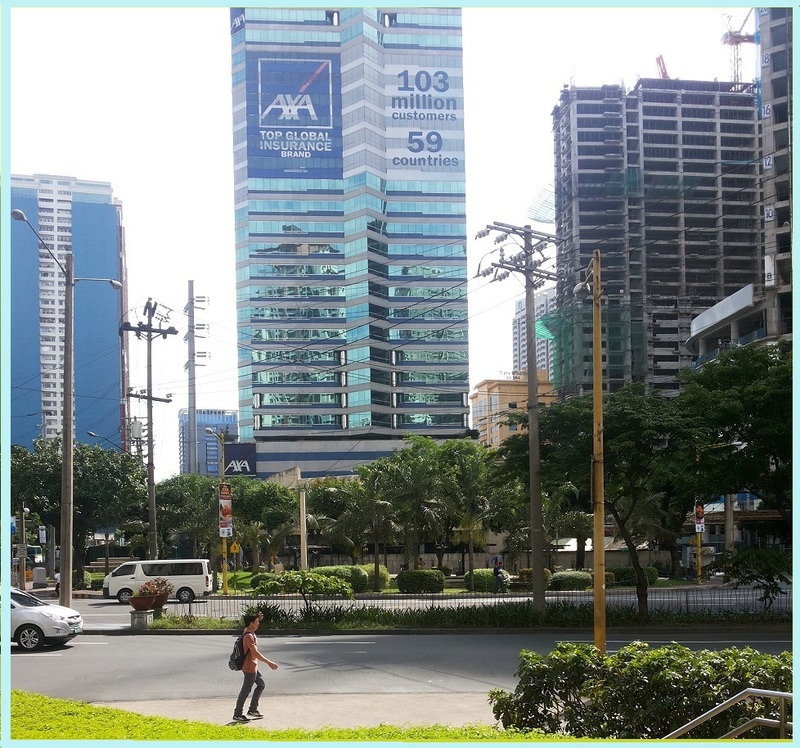 Rise, Air and AXA from Ayala Avenue - the race is on ! (which finishes first? 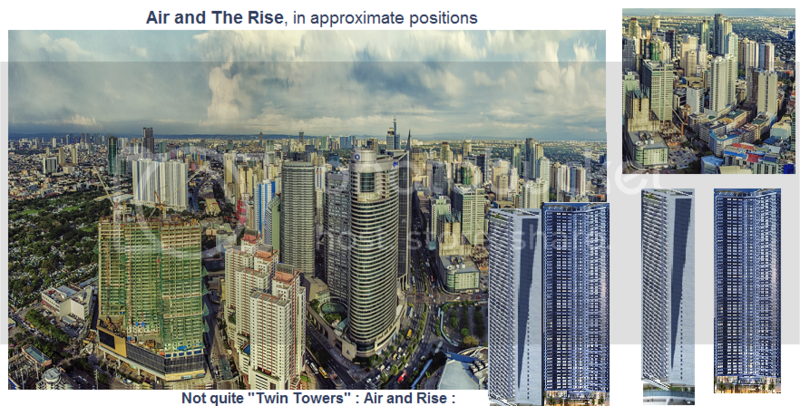 The Rise, showing the view down Ayala Avenue . 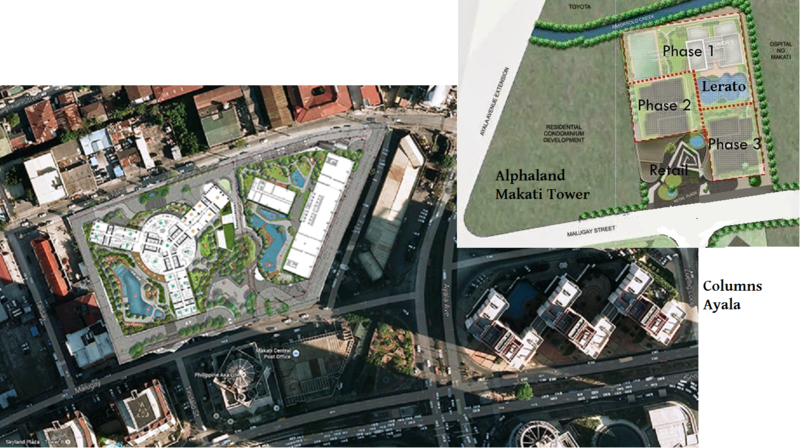 ... Skyland Plaza, Rise vs. AXA vs. Air, from Makati Medical . ... And further away, the View from Shang Salcedo . 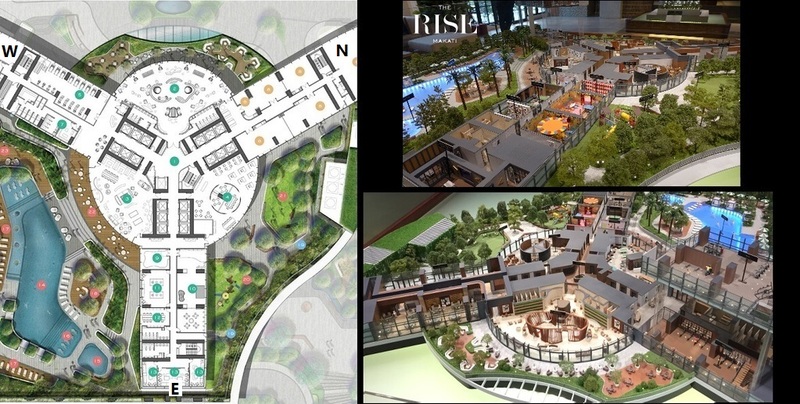 Shopping, Restaurants, and other Rise area "attractions"
There will also be malls in the lower floors of The Rise and Air, and indeed there have been reports that the mall at The Rise would feature up-and-coming restaurants - perhaps as a sort of "audition" to be inside a Shangrila Hotel. Beyond these - there are many popular restaurants, some shops, and other conveniences very nearby, as shown below. 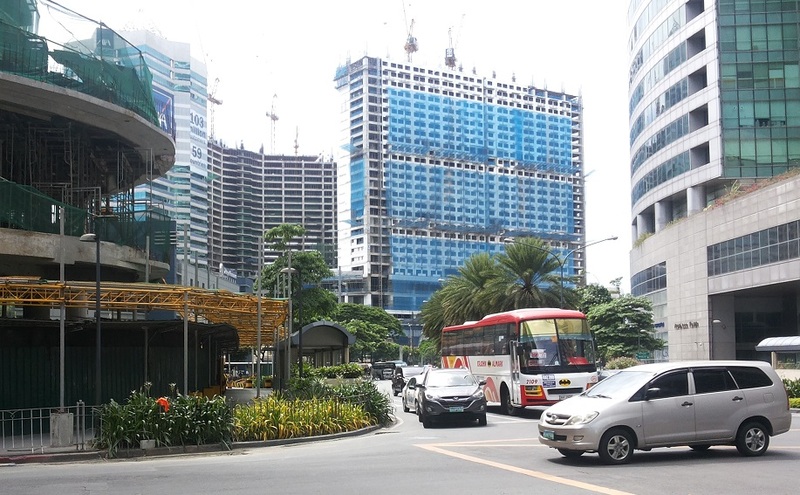 "The reason my company billeted me at this hotel is its proximity to RCBC Plaza, it's a mere .30 km. 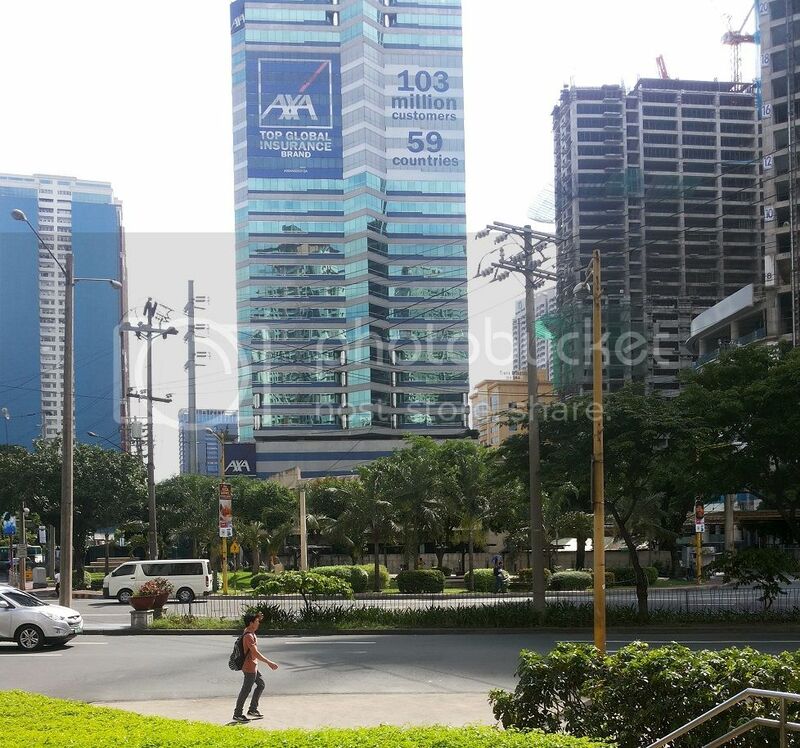 walk to our Makati Office and about 10-15min walk to shopping centers like Greenbelt, Glorietta, Landmark and SM. Tiara is a small business hotel with basic amenities. I've stayed here a couple of times already on official business or with my family, and I generally like the place. 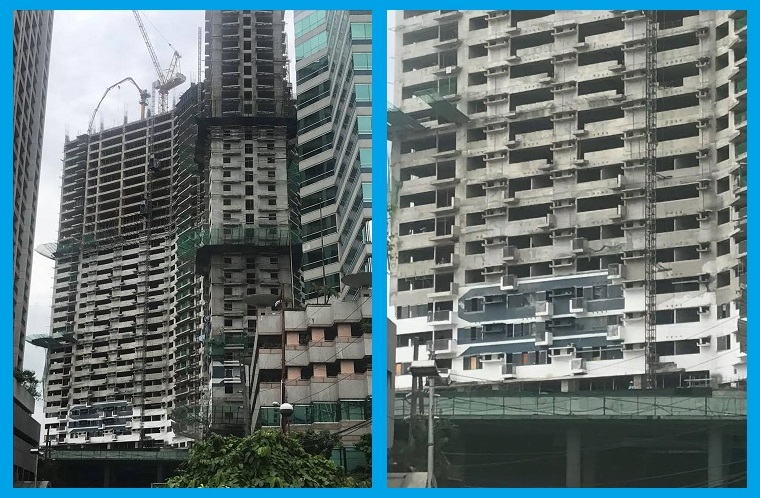 My latest stay, however, was not as pleasant as my previous ones..."
Built strategically at the intersection of Sen. Gil Puyat and Ayala Avenue, Philippine AXA Life Centre is right at the gateway of Makati’s premier commercial district, the ideal location for business, trading and financial institutions. , 28.18% owned by FMIC, is a life insurance company incorporated in November 1962. Year 2014 is the 14 year of the joint venture between Metrobank and the AXA Group (the world’s largest insurance company). PALIC affirmed its position as a major player and formidable new entrant in the life insurance industry. As of December 31, 2013, it ranked no. 3 and no. 5 based on premium income and total assets owned, respectively, based on Insurance Commission. FMIC is the investment banking arm of the Metrobank Group. It is an investment house incorporated in the Philippines on June 25, 1963 with principal place of business at 45th Floor, GT Tower International, Ayala Avenue corner H.V. Dela Costa Street, Makati City. On September 22, 2000, FMIC was merged with Solidbank Corporation (Solidbank) with Solidbank as the surviving entity and subsequently renamed as First Metro Investment Corporation. FMIC’s shares of stock (originally Solidbank) were listed on the PSE on October 25, 1963 and were subsequently delisted effective December 21, 2012. The company is a 99.23%-owned subsidiary of Metrobank. FMIC is primarily engaged in investment banking and has a quasi-banking license. Metropolitan Bank & Trust Company (“Metrobank” or “the Bank”) was incorporated on April 6, 1962 by a group of Filipino businessmen to provide financial services to the Filipino-Chinese community. Since its formation, the Bank has diversified its business, and to date provides a broad range of banking and collateral services to all sectors of the Philippine economy. The Bank opened its first office in Binondo, Manila on September 5, 1962. 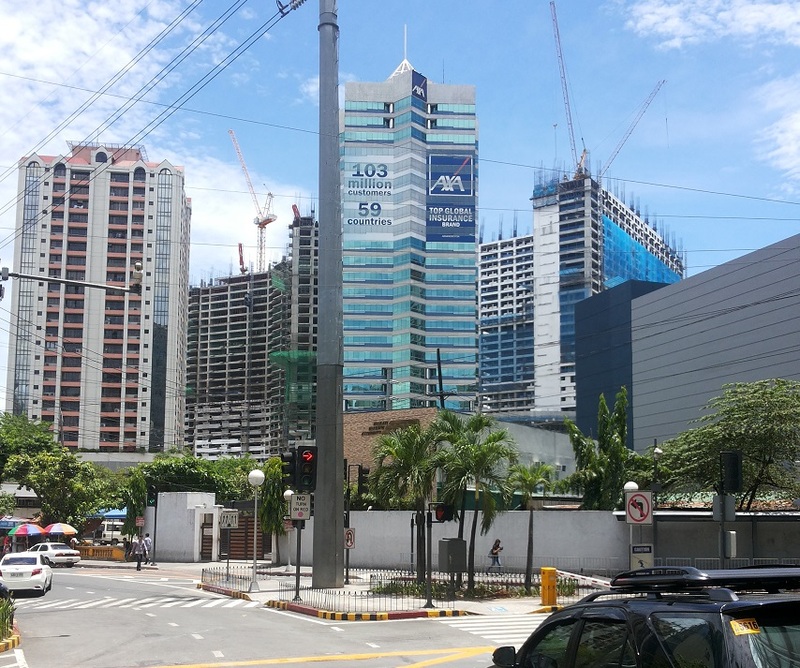 Within a year, the Bank opened its second branch in Divisoria, Manila. Soon after, the Bank started expanding outside Manila with the opening of its first provincial branch in Davao. In 1975, the Bank rolled out its first international branch in Taipei, followed by offices in New York, Guam, Hong Kong, and Tokyo towards the early 1980s. 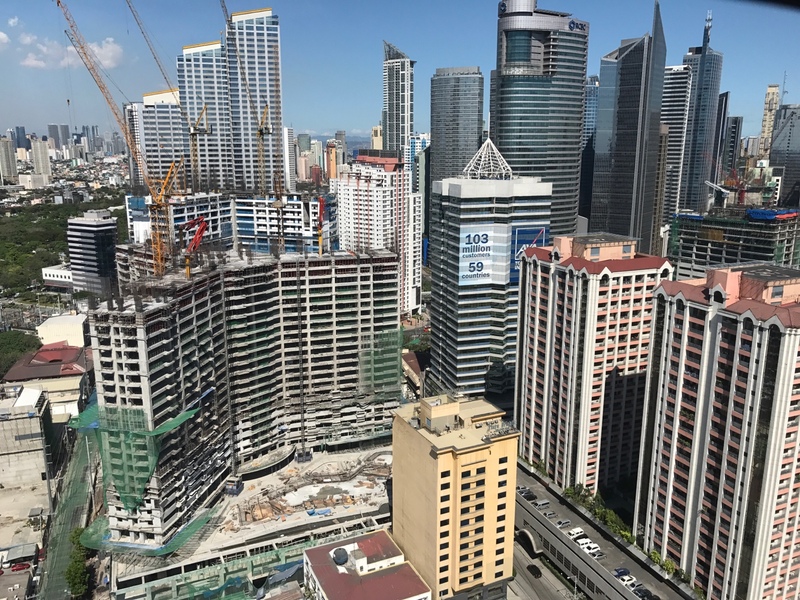 Initially, the role of the Bank’s foreign offices was to tap expanding Overseas Filipino Workers (OFW) remittance business and to complement its corresponding branch network. 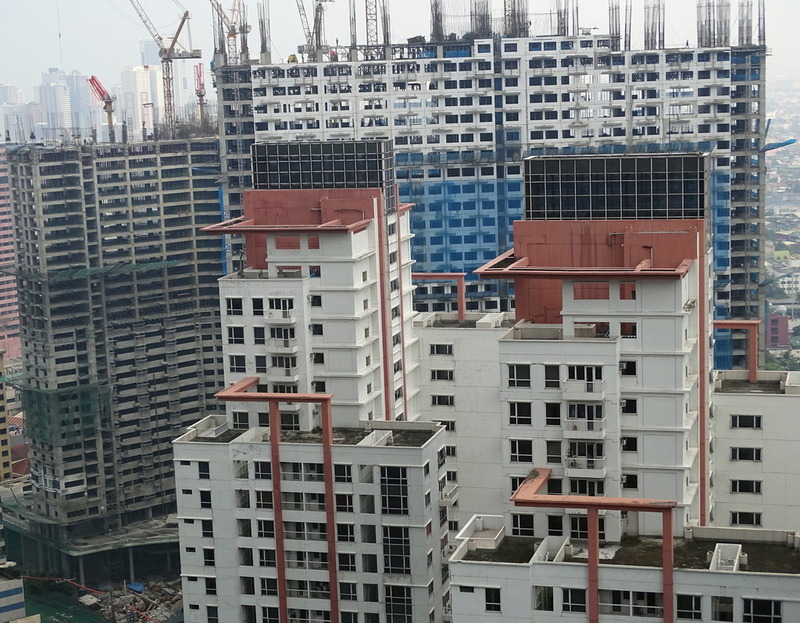 I spoke to one of the regular readers of Makati Prime, who also owns a flat at The Rise. 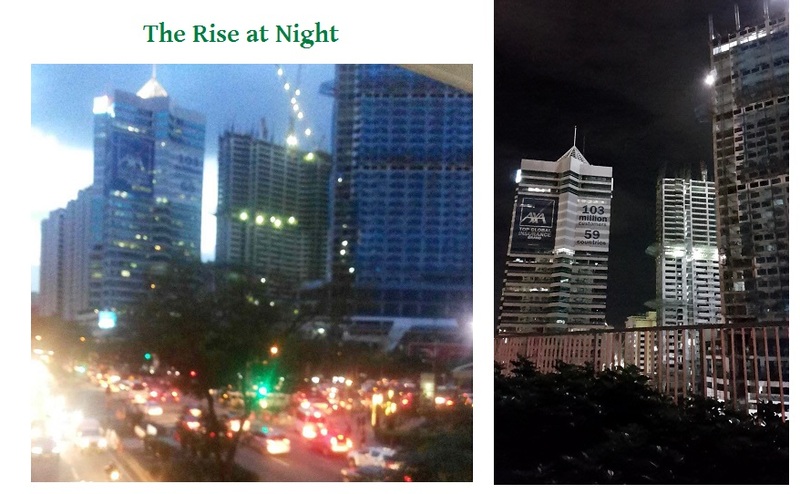 What will Makati Prime do differently from other websites like OLX and Skycraper City? Type of Unit------ : Studiio, 1 BR?, 2BR? Is there a mortgage? : Yes. No. Furthermore, I will encourage people to Talk about living or renting in the area - the good and bad aspects - and things that may make a particular floor or a particular view standout. 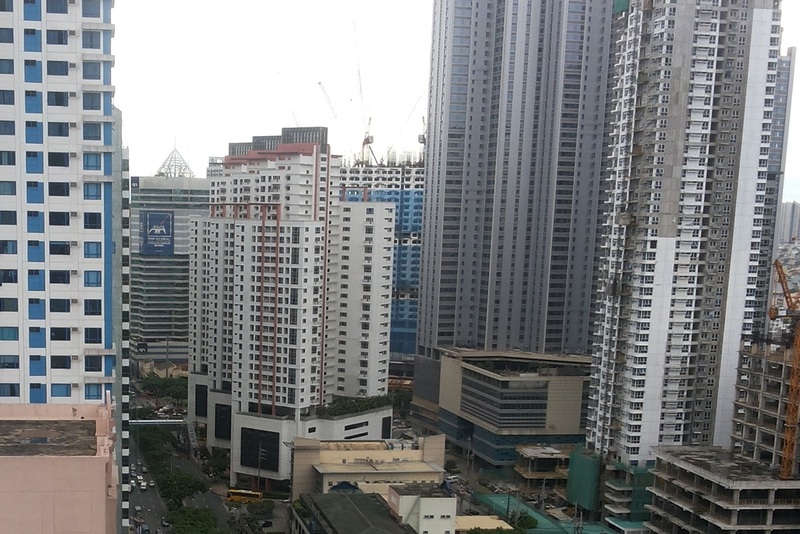 Also, Makati Prime ("MP+") will accept listings from people who Who want to Buy flats in The Rise - this is something that other websites are not presently doing. Knowing there is an interested buyer out there with a specific interest in YOUR type of flat, may encourage those who are thinking about selling, to start a conversation." How with the Marketplace function work? A little background. I had the idea for this type of thread a long time ago. Some people have had the same experience as I did. You may have used the other websites, and found them valuable - but if you joined them and started posting information about market conditions, your questions and comments may have been shifted asides into other threads, or you may have found your posting privileges revoked. It was almost as if you would get banned as soon as the conversation became interesting. Why? The moderators on those other sites seem antagonized by questions like that, rather than understanding there was an opportunity being wasted. So there seems to be room for some new and different content on MP+. BTW, I will not encourage brokers to post here - I do not want multiple listings from people who are pushing-for-sale properties owned by others. OLX and Zipmatch, etc will do a better job with that than we can. I only want people posting on this thread who are seeking TO BUY for themselves, OR SELL flats that they personally own. Please respect that, and we can see a very good chat and useful marketplace develop here. Shang Properties, Inc. (SHNG) was first incorporated on October 21, 1987 under the name Shangri-La Properties, Inc. (SLPI) to acquire, own, develop, subdivide, sell, mortgage, exchange, lease or hold for investment, real estate of all kinds. The Company changed its corporate name from SLPI to Edsa Properties Holdings, Inc. to the present one. 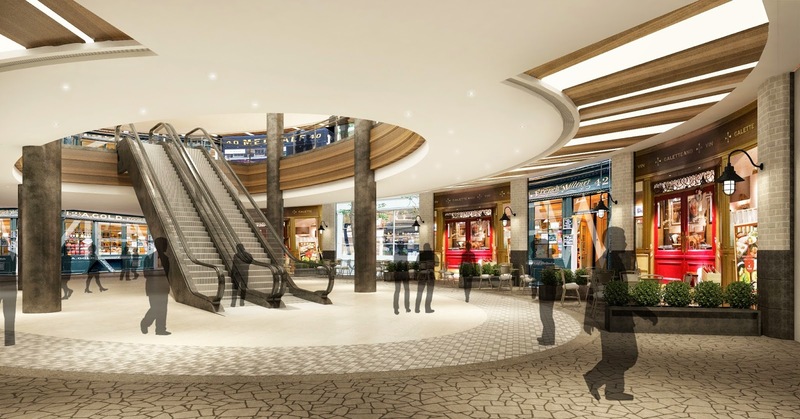 The Company and its subsidiaries are engaged in property investment and development, real estate management, leasing, mall and carpark operations. 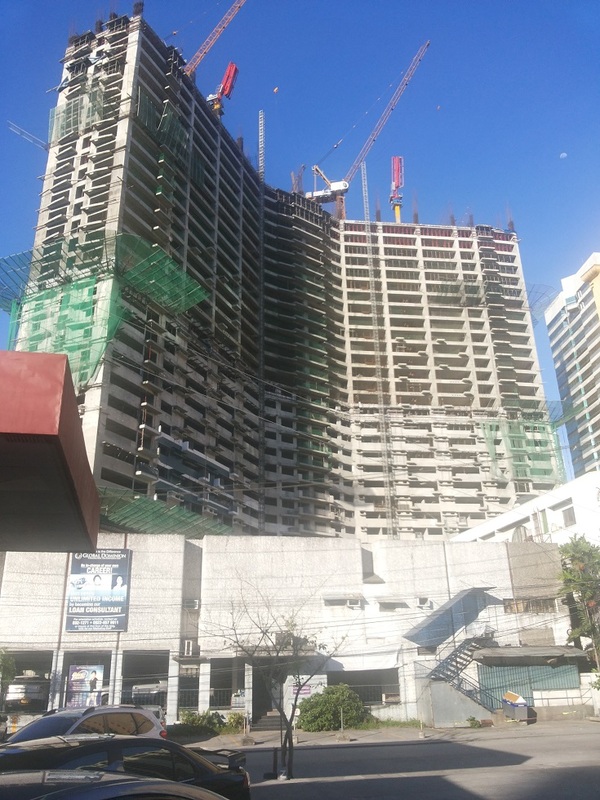 SHNG's significant and active subsidiaries are Shangri-La Plaza Corporation; SPI Parking Services, Inc.; Shang Properties Realty Corporation; EPHI Logistics Holdings, Inc.; Shang Global City Holdings, Inc.; Shang Fort Bonifacio Holdings, Inc.; Shang Property Management Services Corporation; KSA Realty Corporation; Shang Property Developers, Inc.; Shang Global City Properties, Inc.; The Rise Development Company, Inc.; and Shang Wack Wack Properties, Inc.
SPI has a 100% stake in the Shangri-La Plaza Corporation, which owns and operates the upscale Shangri-La Plaza in Mandaluyong City. Mactan earmarked for future development. The Other sides of the Rise - Yakul Street, Talisay Street are shown less often that the Maluguy Street side. This will be a welcoming entrance for those visiting The Rise. The future entrance on Yakul Street. Note how the East Wing of the Rise lines up with AXA Tower. The pool and related amenities will occupy the terrace ... PB. 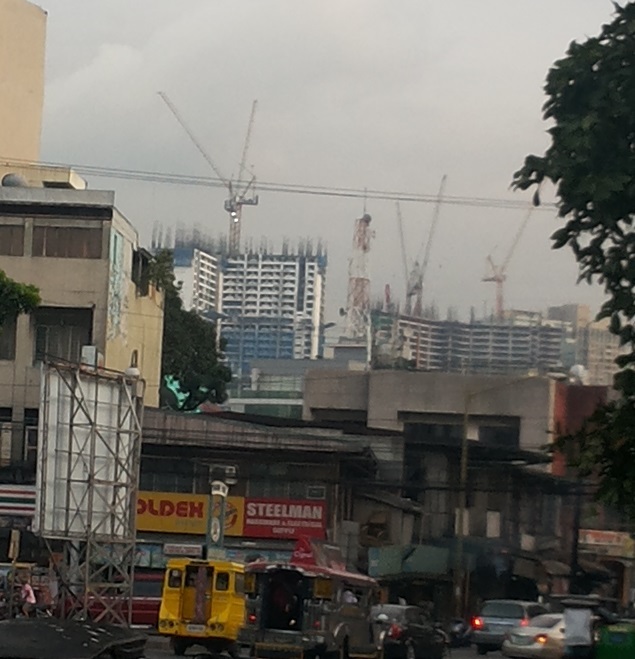 The Rise from Chino Roces, when it is finished it will dominate the neighborhood. The yellow building is the Tiara hotel ... PB. Taken while standing next to Alpha Tower. Most philosophers and alchemists also believed that the four elements exhibited itself in man as four varying natures and that one was more prevalent in each individual than the other three. An individual leaned more to one particular type rather than possessing equivalent amounts of all four. Empedocles said that those who have near equal proportions of the four elements are more intelligent and have the most exact perceptions. A friendly agent, Kristine, from Shang gave me an update on the Sales situation at the Rise. There is a special payment arrangement, delaying part of the down payment, and also the price per sqm on 2BR units is lower.
" Attached the 2 cheapest units for the 2 bedroom"
1 Corner Unit and 1 Core unit. I made a sample computation with our latest promo term 10% downpayment split into 6 months. 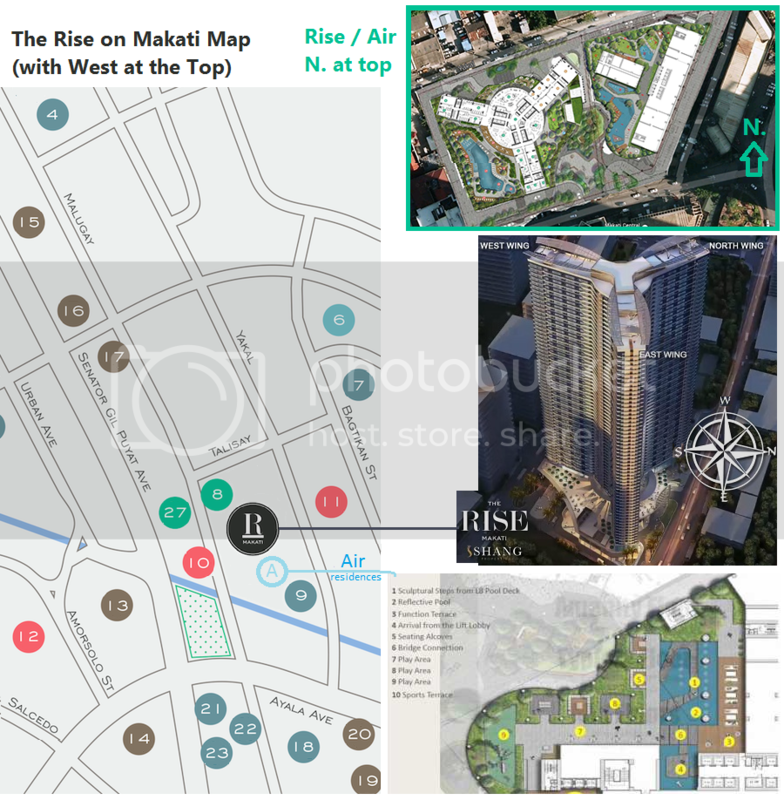 Situated in the artistic melting pot of the metro, The Rise Makati enjoys a dynamic and vivacious environment where unique food, music, and art come alive at every turn; a perfect complement to the young urbanite’s living concept. North Makati, or NOMA, is known to draw crowds because of the many lifestyle finds that appeal to the tastes of the young artists – unique restaurants and watering holes, creative spaces such as galleries and workshops, and a miscellany of retail choices and specialty stores. 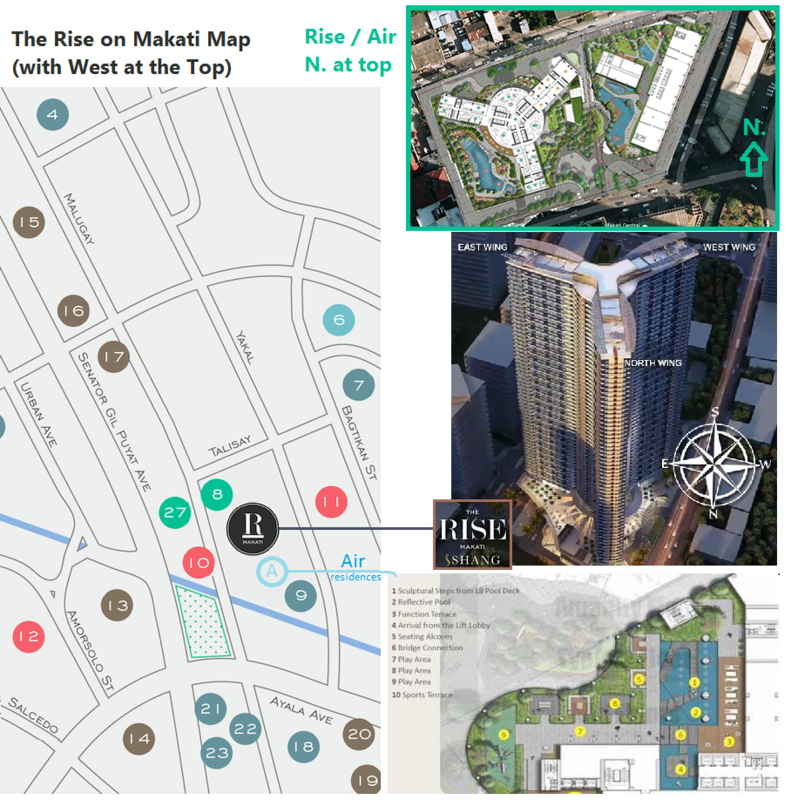 To showcase the exciting community that surrounds The Rise Makati, Shang Properties recently hosted The Rise Community Crawl, a guided tour featuring The Rise show suite and select establishments around North Makati. "The second-part of tour kicked off to imbibe the goodness and hunky well-built establishments around The Rise as media guests took part in discovering gastronomic and cultural adventure." Away from the hustle and bustle of The Makati Central Business District is a quaint restaurant along Yakal Street that features the best of Swiss home style cooking. An independent space in Manila, Suez and Zapote explores the multiplicities and diverse applications of art and design through its main medium, silkscreen. A restaurant and bar which offers Western comfort food, bespoke cocktails and beers at an affordable price. 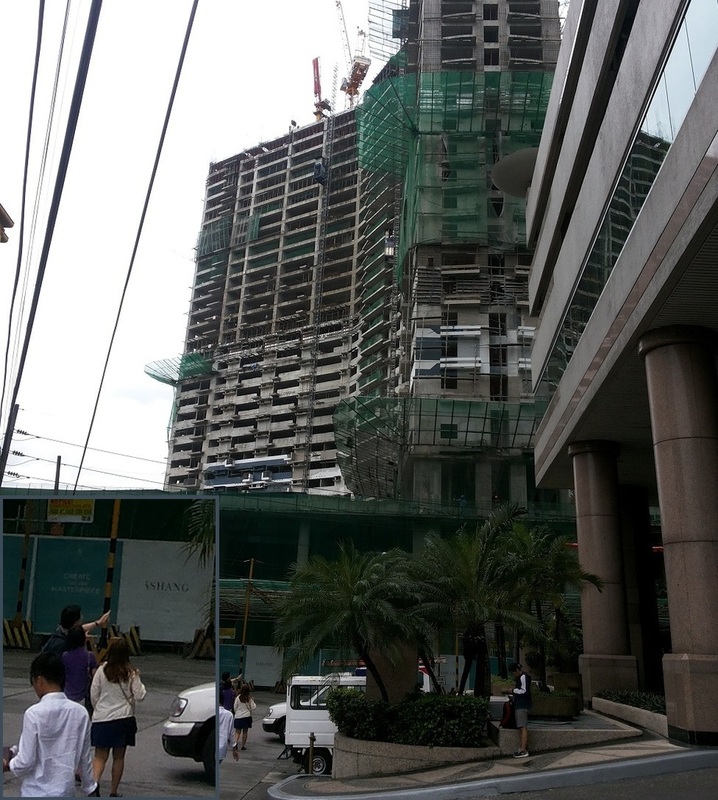 When finished, The Rise will be 210 m., and Air Residences will be 195 m.
CONFUSION ON PRICING: How much cheaper is secondhand? How much is a 1 bedroom unit resale vs. from the developer (if still available) vs. pre-selling price? Just curious. I think the market value now for this unit are 5M. It was really a good investment especially if you bought it at pre-selling. I have re-sale units on this project. Let me know if you're interested. I had someone offering me 3.5M for 27sqm. That works out to roughly 130k per square meter. The developer is quoting 170k per square meter but depending on your payment scheme, you can get approximately 140k per square meter from the developer if you pay cash. Pre-selling is around 90k plus per square meter. Then that offer would be a steal. At 170K per sqm, that would amount now to 4.6M. 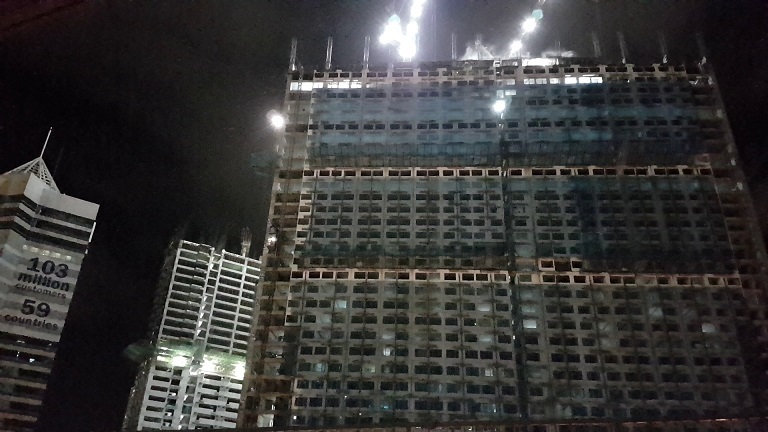 Air is now at about the 40th floor, and The Rise at about the 35th floor about 1/3rd or more will be added to the height. MIGHT LOOK something like this when finished, but before the exterior of the Rise is painted. After painting, I think The Rise will look more finished, less "boxy" than Air, even beautiful & stylish, as at right. MARKETPLACE : 1BR (bid: P3.7 - offer: 4.9M) : Can we tighten this?? 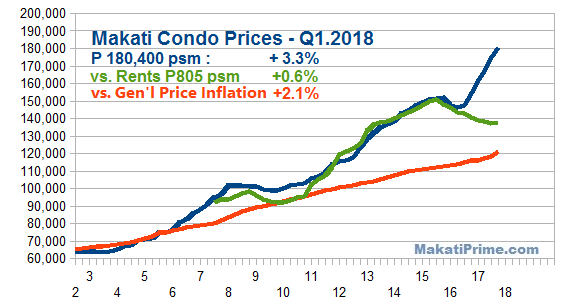 Please tighten prices, if you can : reckon we should be seeing resales offer lower than P4.9M now. 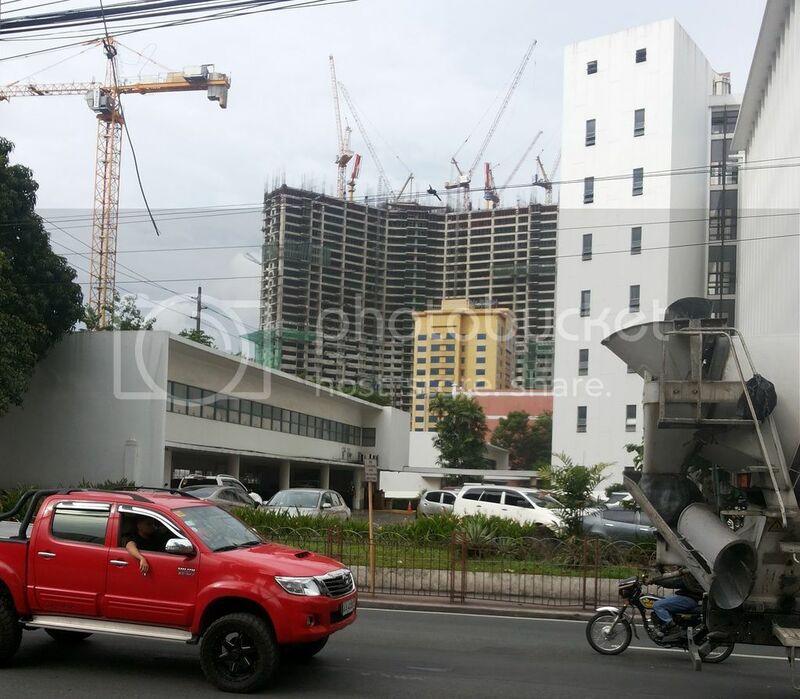 At P 4.4 Million / 28 sqm = P157 psm, expected mid-price for high floor flats at The Rise. I am seeing buying interest (in 1BR flats) at P3.7 million through a broker friend. for Resales, and perhaps a bit more. 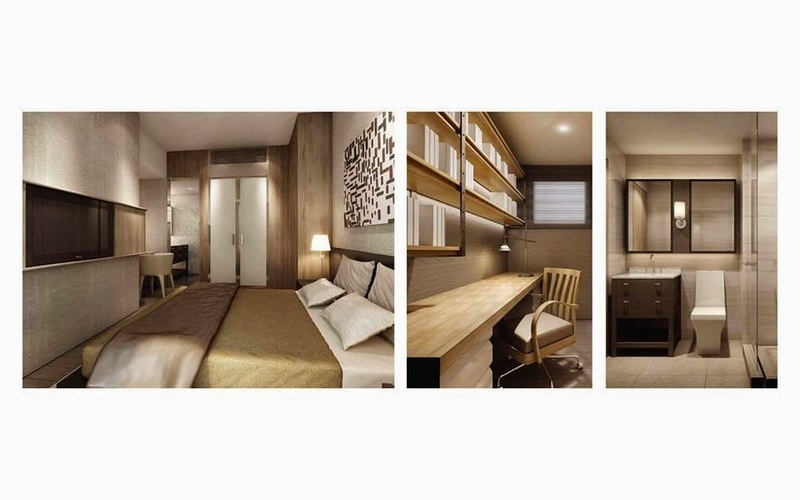 If you are a Better Buyer, or willing to sell your Rise 1BR unit below P4.95 million. Just an update, we are already at 80% sold. 6% more remaining for the foreigner buyers to reach max, 40%. 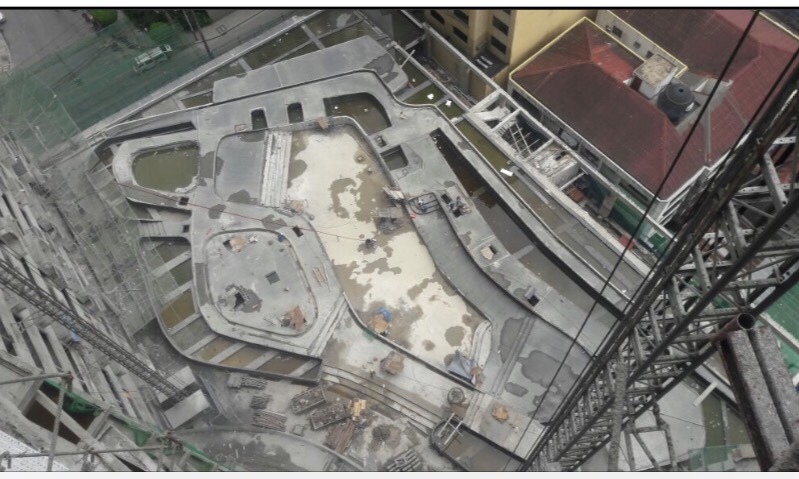 Below is the latest photo update for Rise construction. "Im selling my 1BR unit, 37th Floor Unit G, North Wing. 26.49 SQM, no balcony : P 4.2M"